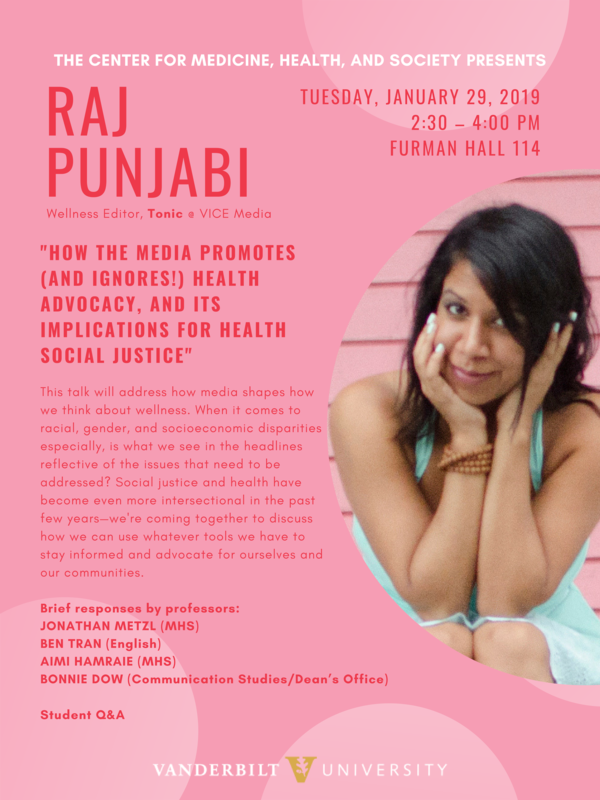 This talk will address how media shapes how we think about wellness. When it comes to racial, gender, and socioeconomic disparities especially, is what we see in the headlines reflective of the issues that need to be addressed? Social justice and health have become even more intersectional in the past few years—we’re coming together to discuss how we can use whatever tools we have to stay informed and advocate for ourselves and our communities.